Thank you for visiting McCabe's Theater & Living, Frisco's #1 Home Theater Seating Store! We are located in Frisco at Main and the Dallas North Tollway. Our address is 5566 Main Street Frisco, TX 75033. You may reach us at 214.618.8287. Our hours are 10:00-6:00 Monday-Saturday. We are closed on Sundays. 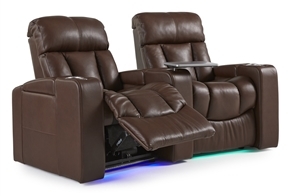 We offer a wide variety of theater seating styles and our featured brands are Palliser, Vega and United Leather. We also sell foam bag seating by OneUp Innovations! We look forward to seeing you at McCabe's! We deliver theater seating across the DFW metroplex and nationwide! Copyright © 2013 www.mccabestheaterandliving.com. All Rights Reserved. Built with Volusion.